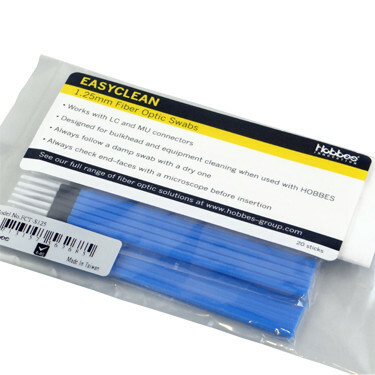 EASYCLEAN – Fiber Optic Cleaning Swabs 1.25mm (LC and MU connectors type) is a dry clean tool for fiber optic network maintenance. It is a simple to use cleaning tool that contains a lint-free, non-scratching and anti-static fabric. With its design, the EASYCLEAN – Fiber Optic Cleaning Swabs 1.25mm (LC and MU connectors type) is able to reach the end-face of LC and MU Female connector without any difficulties. By using EASYCLEAN – Fiber Optic Cleaning Swabs 1.25mm (LC and MU connectors type), it avoids connector contamination that causes unexpected downtime of fiber optic network system. With the use of Hobbes CLEANSSETTE – Fiber Optic Connector Cleaner, it is the perfect solution for fiber optic maintenance and troubleshooting. The third generation of PC cable tester TEST-i - All-in-One Universal Cable Tester / DB9 DB15 RS232 Cable Tester, a specially designed multi function cable tester that tests and analyzes a comprehensive range of PC connector types and the most commonly used flat cables. The TEST-i - All-in-One Universal Cable Tester / DB9 DB15 RS232 Cable Tester not only tests each pins connection to identify opened wires, shorted wires, cross wires, and mis–wires. 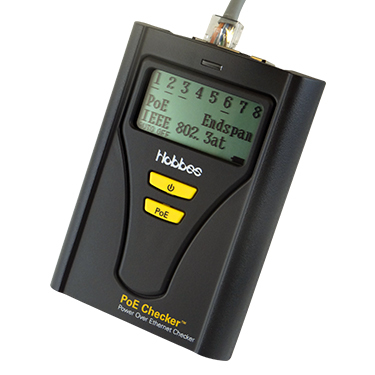 It also shows pin–to–pin connectivity, and can also records up to 100 test results. The crucial data collected can be saved and uploaded to a PC via USB for analysis. 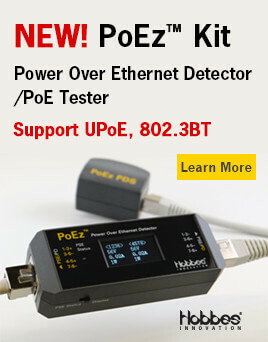 Hobbes has developed the latest version of the SMARTFibe – Six Wavelength SM/MM 850/1300/1310/1490/1550/1625nm Optical Power Meter with enhancements that includes replacement type adaptor to connect FC, ST, and SC type fiber connectors. 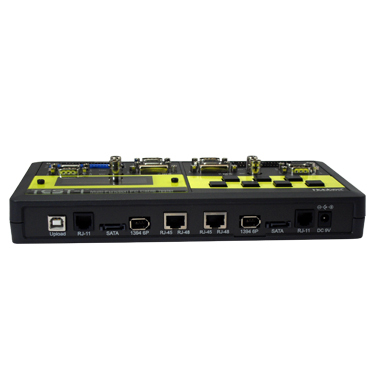 It maintains its design as an easy to use and lightweight fiber optical power meter.The SMARTFibe – Six Wavelength SM/MM 850/1300/1310/1490/1550/1625nm Optical Power Meter utilizes an InGaAs detector to improved sensitivity and temperature stability to test for standard optical power from +3 to – 60dBm dynamic range. 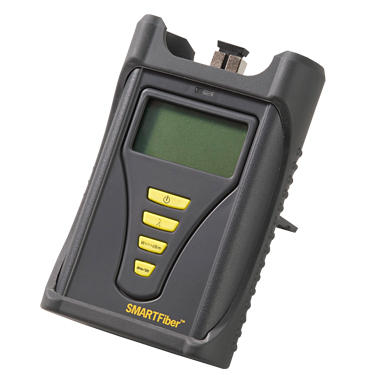 The SMARTFibe – Six Wavelength SM/MM 850/1300/1310/1490/1550/1625nm Optical Power Meter can test both single–mode and multi–mode fiber cable, with the optional adaptor, users can test 2.5mm and 1.25mm fiber cables. 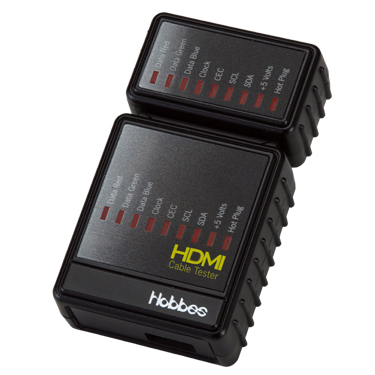 The HDMI Cable Tester(HDMI High Definition Cable Tester) is designed to check and troubleshoot the pin connections of HDMI cables. It is ideal for testing continuity of each signal pin of a HDMI cable prior to installation on equipments.